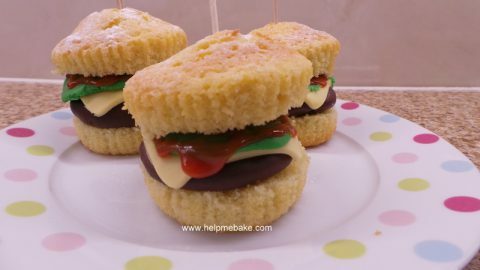 Here is a step by step guide showing you how to make Burger themed cupcakes. 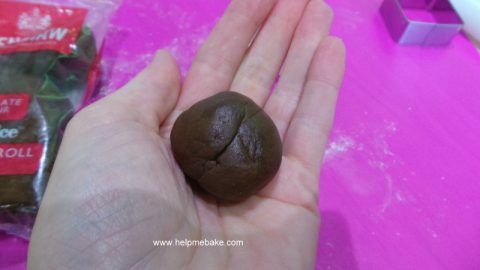 You will need the following items…. 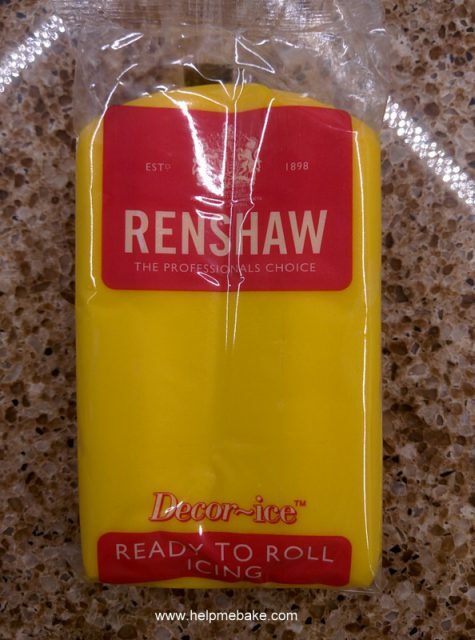 Renshaws Chocolate Decor~Ice, Lincoln Green Decor~Ice and Yellow Decor~Ice. 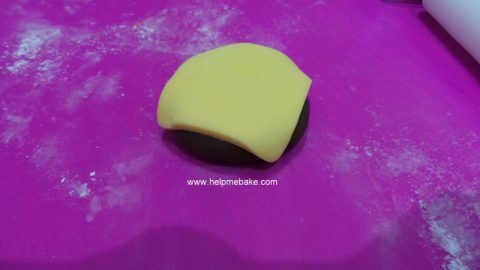 Tips and Notes: You may use your own pre dyed brown icing, green icing and yellow icing fondant. 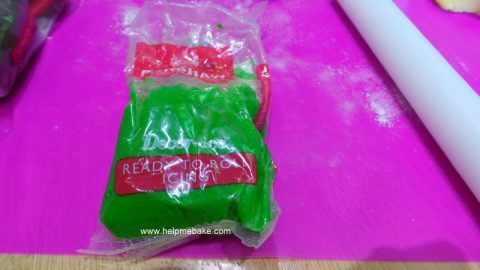 I used Renshaws brown and green but my own melon coloured pre dyed icing. 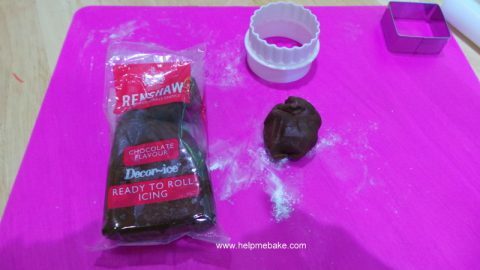 Avoid using cornflour for dusting as it may leave dust type marks on the chocolate icing. 1. 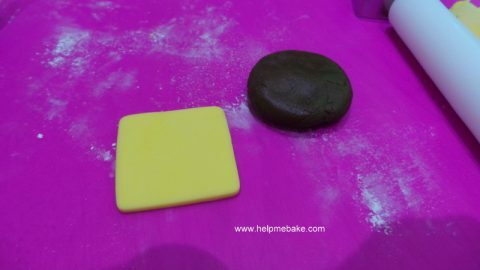 Take a ball of chocolate icing and place on a lightly dusted silicon mat. 2. 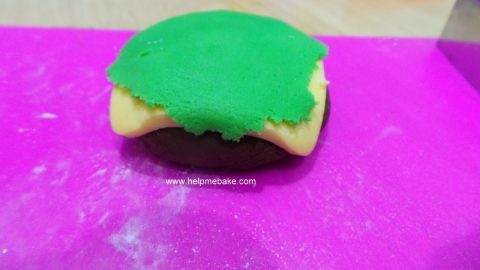 Place the icing into your hand and roll into a ball, it does not matter if there are lines or blemishes in the icing as this all adds to the authenticity of the burger. 3. 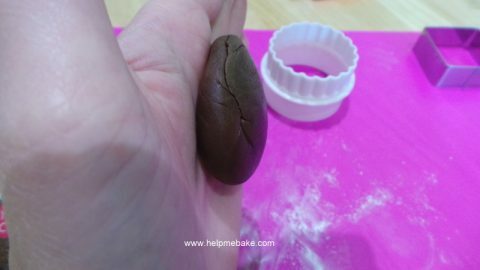 Once you have rolled the ball flatten slightly in your palm with your other hand. 4. 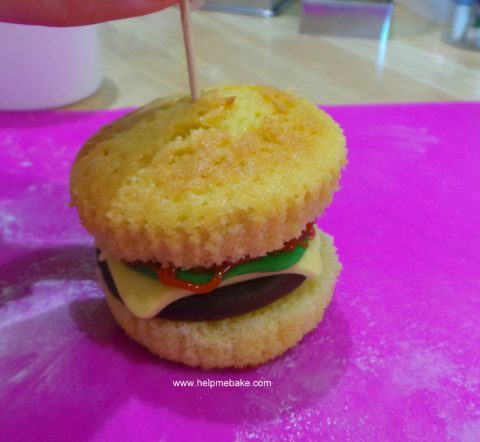 The burger should be the size of a small circle cutter that is the same size as your cupcake. 5. 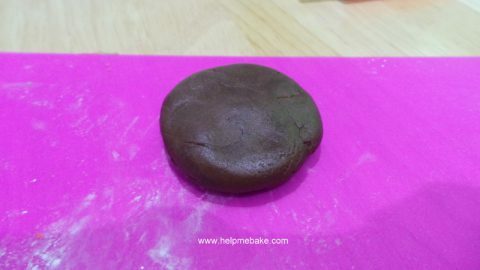 Once done leave on your lightly dusted mat or work surface. 6. 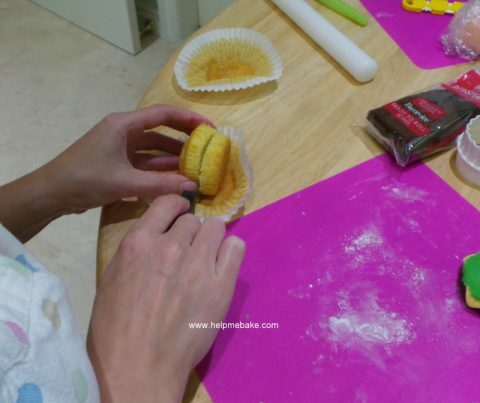 Now take your yellow icing. 7. 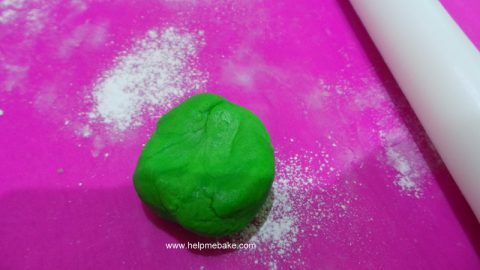 Take a piece of icing and place on a dusted surface. 8. 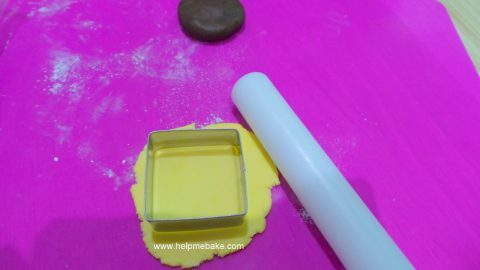 Roll the icing out until it is as thick as a cheese slice. 9. 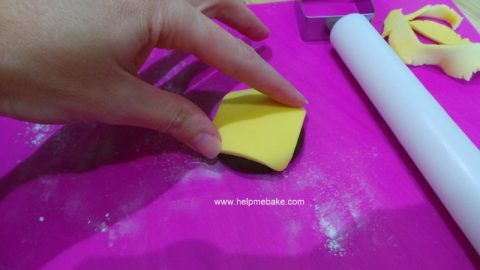 Take a square cutter and cut out your slice. 10. The cheese slice should be slightly bigger than your burger. 11. 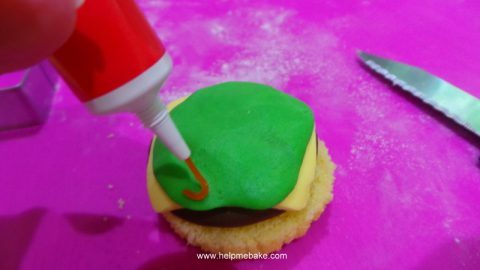 Lightly wet the burger with a little water from a paint brush and place the cheese slice onto it. 12. When sticking the cheese to the burger make sure you bend the edges over so that it looks like the cheese has melted. 13. 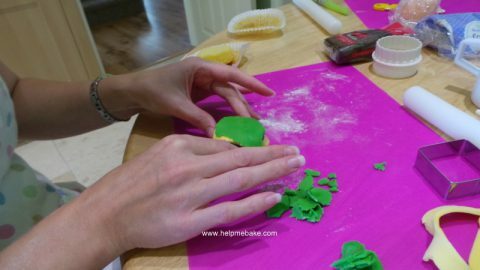 Now take your green icing fondant. 14. Take a small ball and place onto your lightly dusted surface. 15. 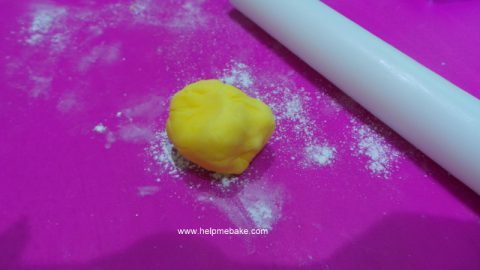 Roll out with a rolling pin until extremely thin, tear away at the edges to make it ‘rough’ looking like a piece of lettuce. 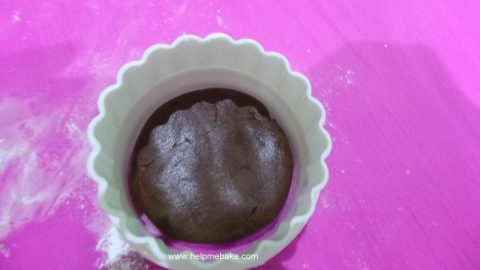 To thin the edges further you could also use a ball tool to thin them out and ruffle them up. 16. Stick the lettuce to the cheese using a little water. 18. 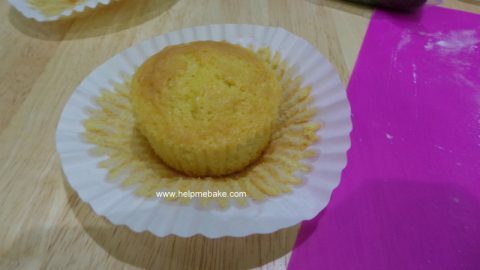 Carefully slice the cupcake in half horizontally. 19. 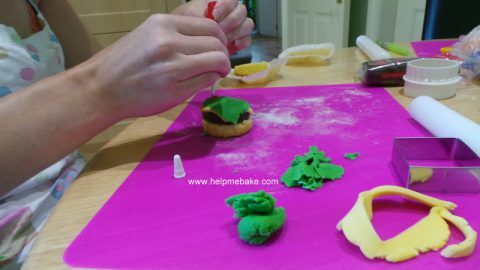 Place a little blob of jam on the base of the cupcake and then put the burger, cheese and lettuce on to it ensuring it sticks. 20. 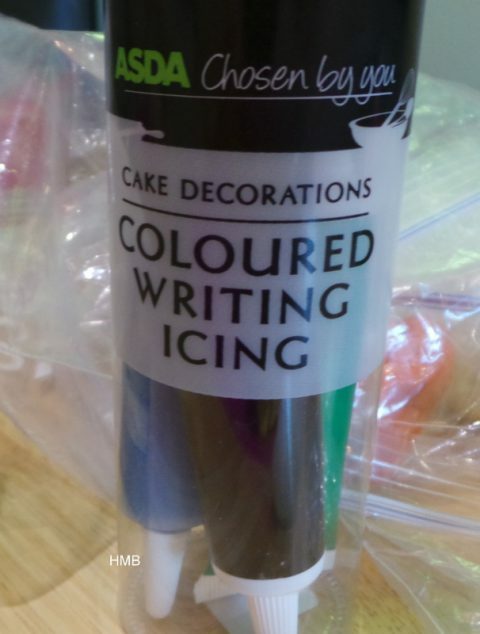 Now get some coloured writing icing. 21. 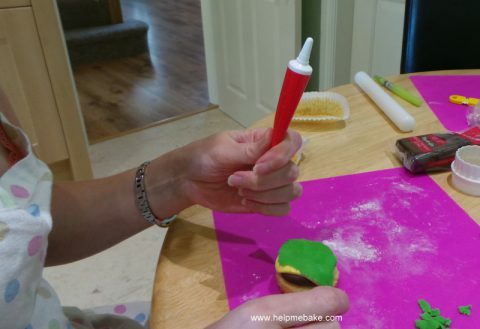 You will need red writing icing to make it look like ketchup. 22. 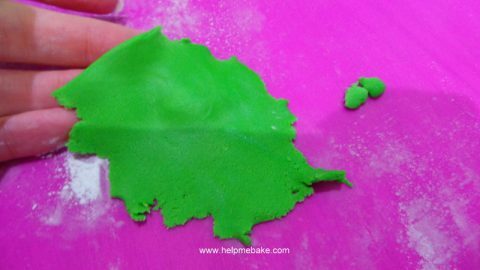 Lightly squeeze some writing icing onto the lettuce like so. 23. 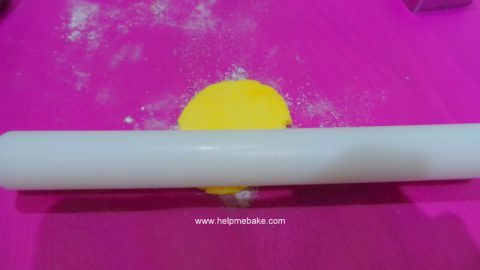 If you wish to secure the top of the cupcake you can use either a lollipop stick or cocktail and insert it through the entire cake. 24. 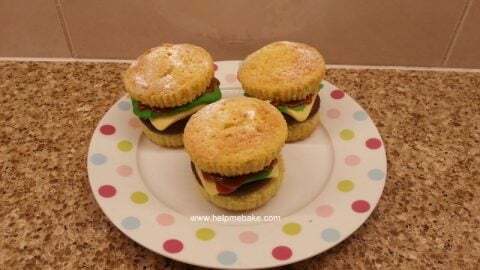 Lightly dust the burger cupcakes with icing sugar and then place them onto a plate, the icing sugar will represent ‘flour’. 25. When you are ready to serve always REMOVE the cocktail sticks or lollipop sticks to avoid choking hazards to children.